Another auction record could be broken when the first production Vincent Black Lightning racer ever built goes under the hammer at the Bonham’s sale in Las Vegas. The fully restored Vincent Twin went under the hammer at the massive auction of classics that includes everything from Cushman scooters to two machines once owned by Steve McQueen. But it is the Black Lightning that is expected to break the records. In a sale last year, a Black Lightning sold for £740,000, although this year’s machine has a guide price of £320,000. For British buyers Bonhams are currently accepting consignments for their sale at the Stafford International Classic Bike Show in April. The current listing for the Stafford sale includes a number of Brough Superiors, one of which found fame as the sidecar outfit used in the TV sitcom George and Mildred. Bonhams will also be offering for sale the Sant Hilari Collection of off-road machines. The collection comprises more than 100 important competition machines covering marques such as Gilera, Moto Guzzi, Kramer, Husqvarna, Maico, CZ, Jawa, Suzuki, Yamaha, Honda, KTM, Bultaco, Motobi, Ossa, MAV, SWM, Moto Villa, Beta, Anvian, DKW, Cagiva, Greeves, Tri-BSA, Sachs, Fantic, Cannondale, VOR, Aprilia, Husaberg, Kawasaki, Montesa, Macal, Ducson and Ducati. The bikes will be offered on the first day of the two-day sale on Saturday, April 27. The entire collection will be offered without reserve. 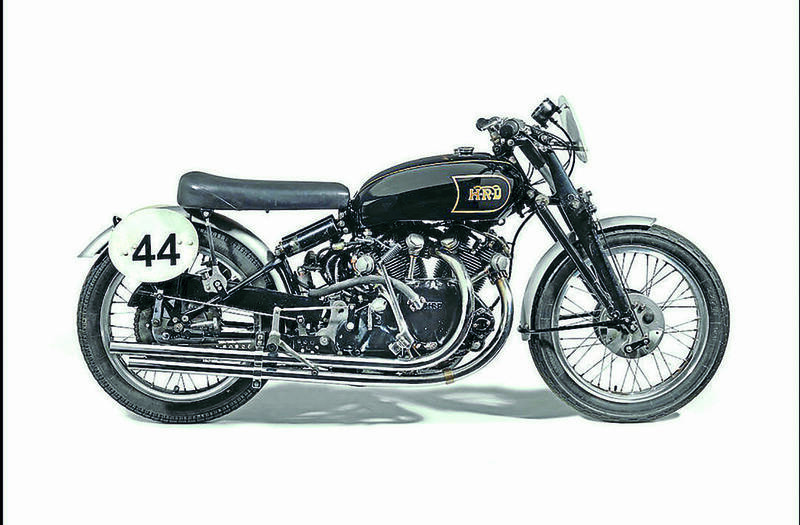 The seller amassed this incredible collection of machines over a lifetime spent as both a competitive rider and a works mechanic for several top-flight teams. The collection charts the development of many manufacturers including several prototype examples. James Stensel, Head of Bonhams Motorcycle Department, commented: “We at Bonhams pride ourselves on catering to every aspect of the motorcycling world, and competition machines play an integral role within it. Previous Post:Which is the right colour for my BSA?